Few vehicles ever marketed by a North American automobile manufacturer caused folks to scratch their heads in wonderment as much as the 1969 SC/Rambler. Throughout the industry, and in the minds of the buying public, Rambler was a name that had been synonymous with thrift and economy for nearly two decades. American Motors had a well-earned reputation for building sensible cars—cars for grandparents and penny-pinching misers who drove their vehicles for a dozen years, repaired them with duct tape and fussed endlessly over gas mileage and tire wear. 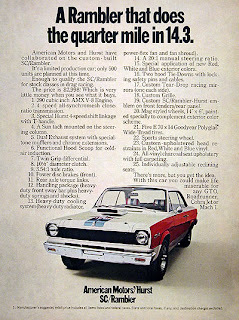 The meek and mild little Rambler was finally given one last chance to shine when American Motors unleashed this extremely vicious, beefy little leave-‘em-eatin'-dust Mustang mauler, Camaro killer and Barracuda basher onto the market—and just to twist the knife a little--slapped the Rambler nameplate on the perpetrator's package. 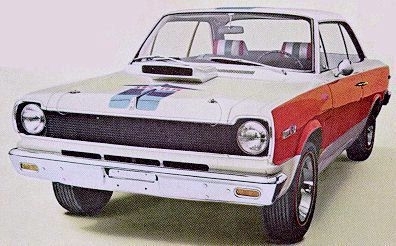 The fastest Rambler ever to leave the factory floor was the 1969 SC/Rambler. A total of 1,512 of these pint-sized bullets were built in Kenosha, Wisconsin and Brampton, Ontario. Oh! St. Brampton be praised! Yes, it was true. 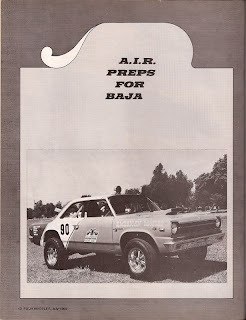 This would be Rambler's finest hour and its fastest, too. The public didn’t have a clue but inside American Motors it was well known that the Rambler name was about to be laid to rest forever. While it might soon be gone, Rambler would never be forgotten. The boys at American Motors would make sure the one-time king of economy compacts would go to automobile heaven in the biggest blaze of glory the company could give its pintsized automotive hero. Rambler would go racing. And win big. Hurst and Rambler were the most unlikely automotive combination of the 1960s. 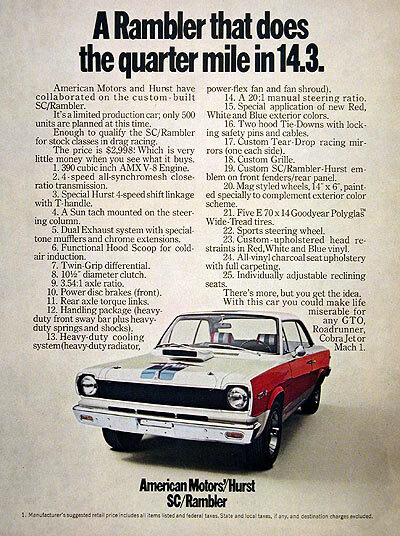 In a press release dated February 13, 1969, the SC/Rambler was announced. These special models started life as Rambler Rogue hardtops with AMC's thunderous 390-cubic inch V-8 engine stuffed into the engine bay. The package was enhanced by Hurst Performance. SC/Ramblers were painted in a distinctive red, white and blue scheme. According to the release, 500 of these pocket rockets would be built. Folks got their first chance to meet SC/Ramblers at the Chicago Auto Show on March 8, 1969. Standard equipment was definitely un-Rambler like with an 8000-RPM tachometer, Dual Thrust Glass Pack mufflers and Goodyear Polyglas E70x14 redline tires attached to magnum 500 wheels finished in a wild blue paint scheme. Faster than greased lightening and meaner than Moon Dog Spot, many Camaro, Mustang and Barracuda owners only ever got to see the back side of the 1969 SC/Rambler on the track. SC/Ramblers or Scramblers ad they came to be called, rolled off the lines in Kenosha, Wisconsin and in Brampton, Ontario. There was enough demand for the roaring Ramblers that three lots of 500 units were built. The tri-colour paint scheme was varied from one group to the next. The late Jim Alexander worked in product planning at the time. He told this author that despite all the hoop-la about Hurst’s involvement in the project, the actual work was all done in-house by AMC employees. The only noticeable difference on the assembly line was that Hurst sent over a man to make sure the decals were applied correctly. Advertising was minimal but what was printed was slick and to the point. “It only hurts the for 14 seconds!” the copy shrilled. The message was deadly accurate. The high-compression, 390-cubic inch V8 mill cranked out a mean 315 horsepower at 4000 RPM and belted out a walloping 425 lb-ft of torque at 3200 RPM. The manual transmission was Borg-Warner’s T-10 four-speed close-ratio, all synchromesh model with the legendary Hurst shifter. That kind of power and performance was absolutely phenomenal in a car that weighed only 3,160 pounds on the scale. Long-haired dudes wearing peace symbols and bell-bottomed jeans began hanging around Rambler dealerships, checking out the Scramblers. Rambler salesmen weren’t in the habit of seeing anyone under forty wander through the showroom doors but then the kids weren’t used to seeing Scramblers, either. Scrambler was unique with its huge Canada Post-like letterbox hood scoop and screaming loud paint job. 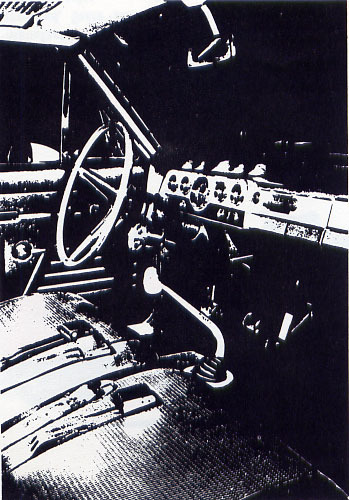 The absolutely Spartan interior was shorn of any glamour, finished in charcoal vinyl upholstery and the tach was actually bolted onto the steering column. This was no cream puff front parlour queen; the Scrambler was built for one purpose and one purpose only: tearing up track. A lot of guys passed over the Scrambler in favour of the more sophisticated and seductive Javelin but that was fine with dealers. The Scrambler served as an important traffic builder—in dealer parlance—and they were a cinch to sell to race buffs at a measly $3,655 f.o.b. Brampton. 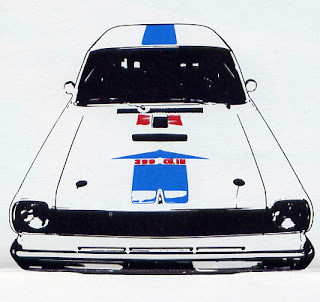 On the track that summer, seasoned race fanatics snickered openly at the Rambler econo-boxes. They quit laughing abruptly as the lightening-fast Scramblers proved their mettle by cleaning up on the competition with easy 14-second times. The feisty SC/Rambler earned grudging respect as many a Camaro and Mustang owner ate Rambler dust that season. 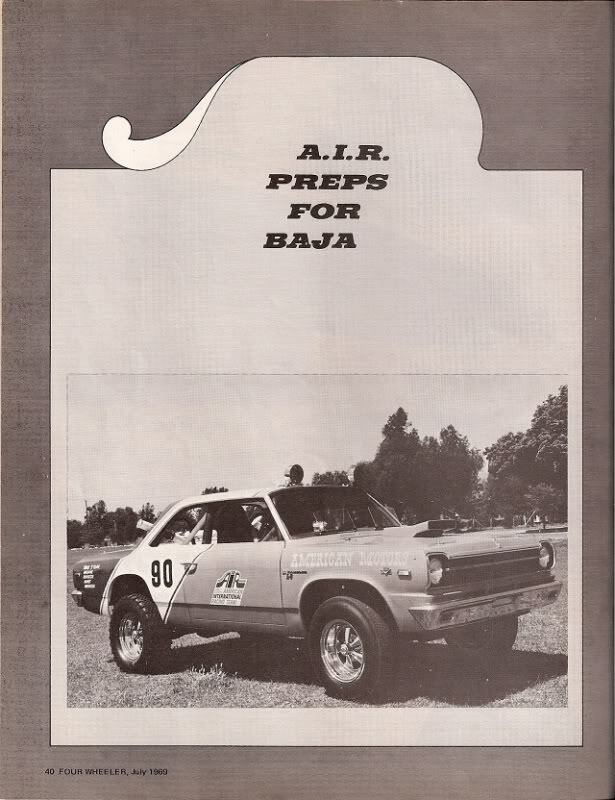 Hollywood movie star James Garner ordered a Metric dozen Scramblers for his American International Race Team (AIR) and entered them in the 1969 Baja 500. Seven of his Scramblers finished the torturous race in less than 30 hours and one brought home a class trophy. At the factory in Kenosha, two SC/Ramblers were fitted with four-wheel drive as engineers at American Motors explored the possibility of installing the feature on all its products. Vince Geraci worked for the company at that time and recalls that AMC was nearly ready to introduce four-wheel drive on its production passenger cars. The plan was nixed at the last minute when the company purchased Jeep from Kaiser in October of 1969. The company brass feared adding four-wheel drive to Ambassadors, Rebels, Javelins and the new Hornets would muddle product recognition in the minds of consumers. 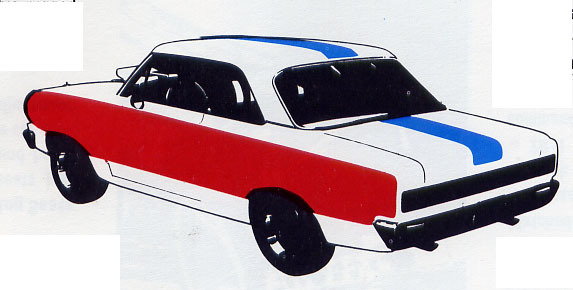 The 1969 SC/Rambler was the swan song for Rambler. AMC would replace it with the Hornet. When the run or racing Ramblers was tallied, a total of 1,512 Scramblers had been built. They did the nameplate proud as the Rambler name was laid to rest in North America. As scarce as hen’s teeth when new, today SC/Ramblers command very decent prices when they turn up on the auction block.